In 2015 we celebrated 100 years of humanitarian action. Read the stories below about the first aid workers that we sent overseas. 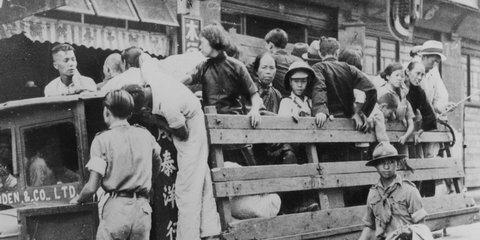 We deployed our first official delegates in 1937 to the second Sino-Japanese War. The trip was funded by the Far East Relief Fund, which was jointly administered with the Order of St John. The fund raised more than £9,000 ($898,127.34, 2014 inflation). New Zealand Red Cross' delegate programme formally began in October 1960 when we sent Barbara Tomlinson, a physiotherapist, to Morocco.